The wealthy often manage to shield much of their income from taxes. And they tend to spend less of it than others do, thereby limiting sales tax revenue. WASHINGTON — Income inequality is taking a toll on state governments. The widening gap between the wealthiest Americans and everyone else has been matched by a slowdown in state tax revenue, according to a report being released Monday by Standard & Poor’s. Even as income for the affluent has accelerated, it’s barely kept pace with inflation for most other people. That trend can mean a double-whammy for states: The wealthy often manage to shield much of their income from taxes. And they tend to spend less of it than others do, thereby limiting sales tax revenue. Stagnant pay for most people has compounded the pressure on states to preserve funding for education, highways and social programs such as Medicaid. Their investments in education and infrastructure have also fueled economic growth. Yet they’re at risk without a strong flow of tax revenue. 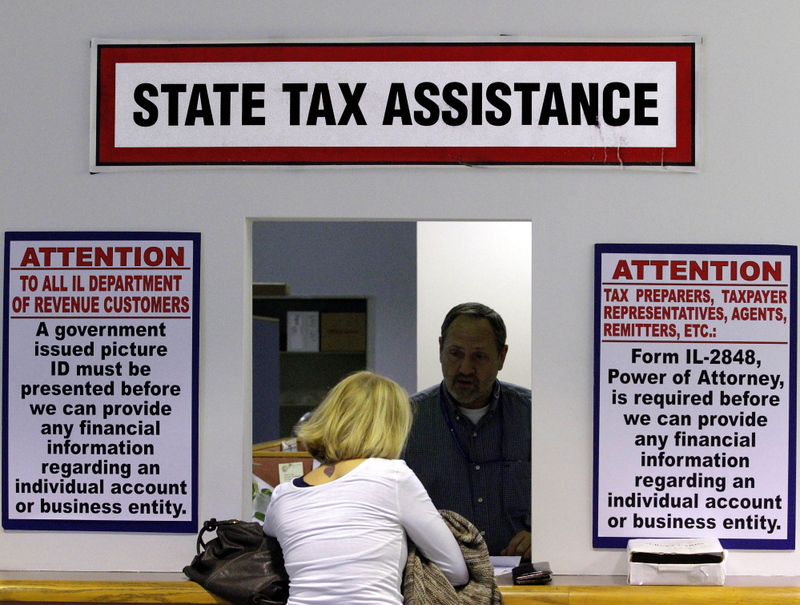 Income inequality isn’t the only factor slowing state tax revenue. Online retailers account for a rising chunk of consumer spending. Yet they often manage to avoid sales taxes. Consumers are spending more on untaxed services, too. S&P’s analysis builds on a previous report this year in which it said the widening gap between the wealthiest Americans and everyone else has slowed the U.S. economy’s recovery from the Great Recession. Because consumer spending fuels about 70 percent of the economy, weak pay growth typically slows economic growth. That measure boosted California’s sales tax to 7.5 percent for four years and income taxes rates to between 10.3 and 12.3 percent for seven years on income over $250,000. Plus, there’s an additional 1 percent tax on millionaires. Some states — including Arizona, Florida, Nevada, Texas and Washington — rely primarily on sales taxes for funding. They’re more dependent on consumer spending and don’t benefit much from the gains that have flowed mainly to the wealthiest Americans. Kim Rueben, a senior fellow at the Urban Institute, said the rise of untaxed purchases might have squeezed state revenue even if income inequality hadn’t widened. “Sales taxes are being eroded by the fact that we’re moving to a services economy, and people are buying far more on the Internet,” she said. But S&P says its findings suggest that the wealth gap derives from many factors and that state tax-code revisions don’t fully address the consequences. “Changes to state fiscal policy alone won’t likely fix what’s wrong,” S&P concludes.